through digital initiatives, while understanding the risks and complex challenges involved. THE DIGITAL TRANSFORMATION OF INSURANCE. 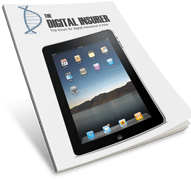 Designed for insurance professionals interested in digital insurance. Free sign up for additional member benefits. Headquartered in London, Cube is an AI-driven regtech offering that helps insurers to navigate regulatory changes and minimize the cost and risk of non-compliance. Keep Warranty is a B2B2C app tackling the issue of lost warranties and purchase slips by storing them in one secure location and making it accessible at all times via the app. Admiral Group has partnered with MHR Analytics to improve its underwriting capabilities through better data management. SAI Global, an integrated risk management software provider, has added a new function to its RegTech offerings by acquiring regulatory compliance platform BWise. Zurich has acquired U.S based Sea Pine Technologies, a provider of digital applications for marketing of vehicle protection products. 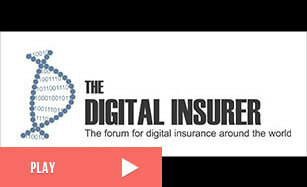 The Digital Insurer is committed to working together to accelerate the digital transformation of insurance. The Digital Insurer has built the world's largest dedicated knowledge base on digital insurance for a community of more than 30,000 people who have a common interest in digital insurance. As well as a Knowledge service available for free to members, we also partner with Insurers, Insurance Tech companies and Corporate VCs on a range of information and market development services to help them accelerate their own digital transformation. Contact one of the team directly if you would like further information. Please register for full access to the knowledge base as well as to receive our regular emails and updates on digital insurance. Building on the success of LIVEFEST 2018, this year there will be 5 virtual events time-zoned around the world. The fast paced sessions will be held live, 100% digital and on-demand. Award applications are currently open for the 2019 Insurer Innovation and Startup InsurTech awards.